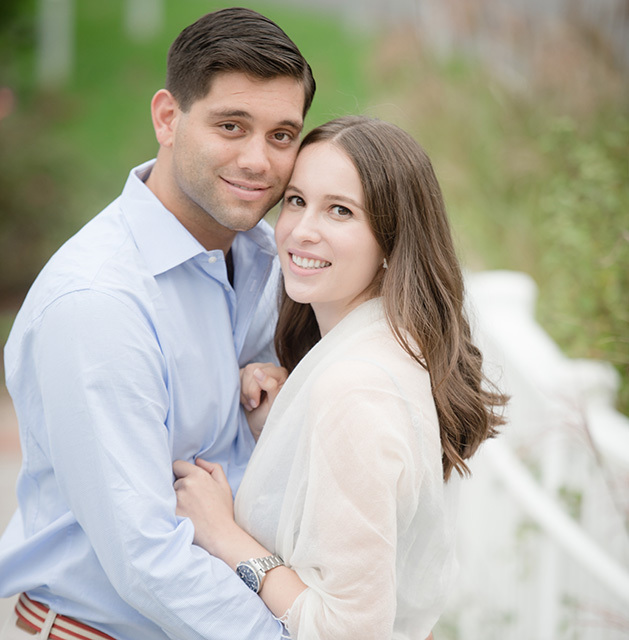 Brooke Galliard and Kenny Sheresky are to be married on June 15, 2019 at Wainwright House. The couple became engaged on June 22, 2018 when he proposed at their apartment in New York City. They were Rye neighbors for over twenty years before meeting for the first time in 2015. It took a phone app called Hinge to bring the two together, but since they met they have been inseparable. Brooke recalls trick-or-treating at the Sheresky home without knowing her future mother-in-law was handing her candy (albeit only one piece which Brooke also remembers). The future bride, the daughter of Debra and Clement Galliard, is a graduate of Rye High School and Cornell University. The future groom, the son of Tapley and Steven Sheresky, graduated from Deerfield Academy and Lehigh University.